Description: Livistona chinensis is attractive, solitary, fan palm with distinctive drooping tips to its leaves. 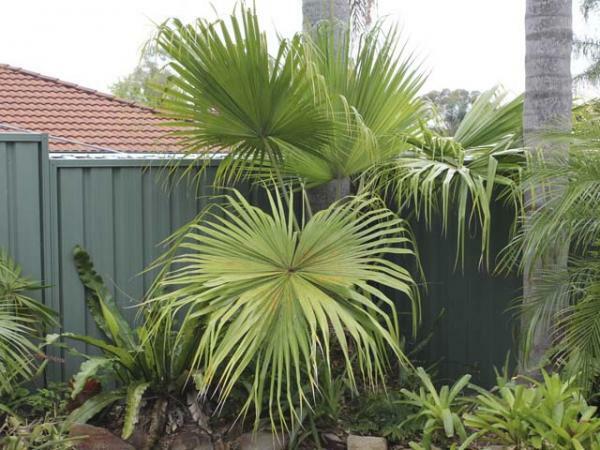 In the wild these fan-leaf palms can develop into tall trees, but those grown in pots do not usually become big enough to produce substantial single stems, and they remain small, stemless shrubs. Their fan-shaped leaves have toothed stalks, are up to 30 cm long and 30 cm wide and are deeply cut along much of their length into many 3 – 4 cm wide, pointed segments. The tips of these segments droop for the last 5 – 8 cm of their length. The uncut lower portion appears pleated. Livistona chinensis require no special attention and is easy to grow it indoors.